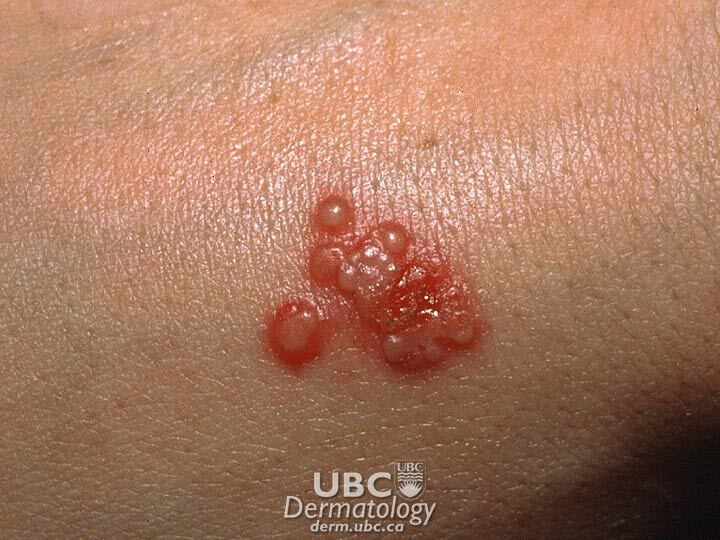 Herpes is a common viral infection that causes uncomfortable blisters on the skin and mucosa. In 50 per cent of cases it lies dormant indefinitely in the body’s nerve cells, where it can later reactivate and cause further blisters. There are two main types of herpes virus: herpes simplex and herpes zoster. 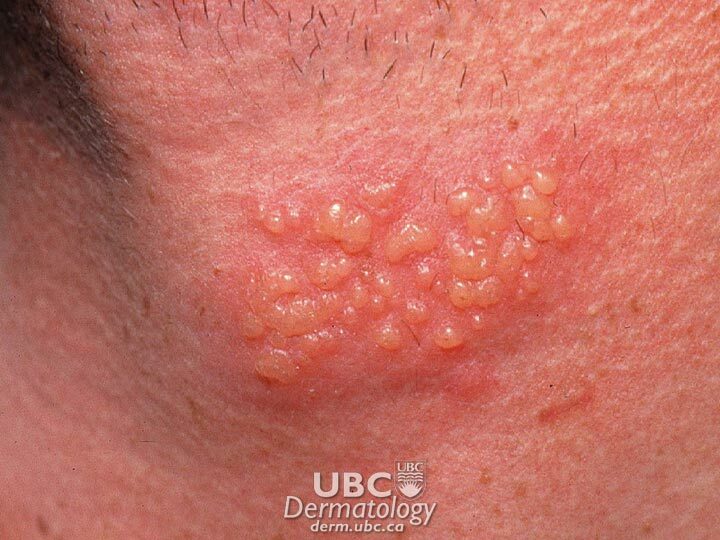 Herpes simplex is the cause of oral and genital herpes, and herpes zoster results in chickenpox and shingles. The herpes simplex virus (HSV) can be further divided into two types: Type 1 (HSV-1) and Type 2 (HSV-2). HSV-1 is most often responsible for cases of oral herpes, and HSV-2 is most commonly responsible for cases of genital herpes. However, HSV-1 can infect the genital area. 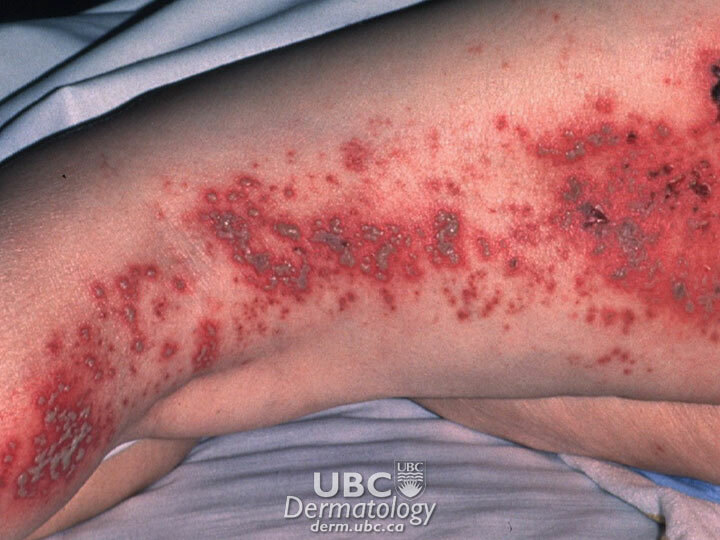 Both HSV types are characterized by the same pattern of infection. The primary infection occurs when the virus first infects an individual. In about 10 per cent of cases, sores or blisters develop. In others, there may be mild or no visible symptoms. The itchy, painful blisters break and form sores that eventually heal. The virus, however, remains in the body. After a latent period during which the virus remains inactive, patients generally experience several subsequent infections a year. Over time, the severity and frequency of these recurrent infections decrease. Recurrent infections may be triggered by various factors, including fever, stress, excess sun exposure, trauma, or a menstrual period. They may also recur for no obvious reason. Oral herpes affects 50 to 80 per cent of adults in the United States. Up to 90 per cent of adults in the U.S. have the virus by age 50; the majority contracted the virus as children. Genital herpes affects approximately 20 per cent of adults in the U.S.. 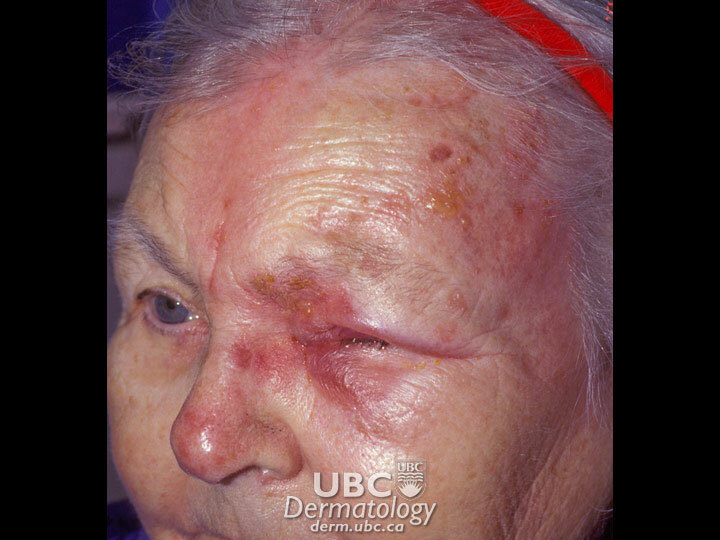 In Canada, over 75 per cent of infected adults with HSV-2 do not have visible symptoms. Herpes zoster is an acute, localized infection caused by the varicella-zoster virus, the same virus that causes chicken pox. After a chicken pox infection, the virus remains in some of the body’s nerve cells where it lies dormant (inactive) until reactivated. The reactivated virus travels along nerve fibres toward the skin, multiplies, and causes a painful, blistering rash known as shingles. Very rarely, shingles can lead to pneumonia, hearing problems, blindness, brain inflammation (encephalitis) or death. In some cases (usually in the elderly), a painful condition called post-herpetic neuralgia (chronic pain) persists after zoster disappears and can last for many months afterward. Herpes is not dangerous in otherwise healthy individuals; however, the sores (if present) may be painful. In immunocompromised individuals and newborn babies, herpes can be serious but rarely fatal. Unfortunately, the virus may be spread even when there are no symptoms (asymptomatic shedding). Many infected individuals are not even aware they carry the virus. Most adults (about 90 per cent in developed countries) will have had chickenpox while young and harbour the varicella-zoster virus. The virus can re-emerge at any age. About 20 per cent of the general population experiences shingles. Shingles usually occur only once in a lifetime. Frequently recurring shingles may indicate an underlying immune problem. About 4 per cent of the population experiences it more than once. The incidence of herpes zoster increases after age 50-60. Other populations at risk include those with immune systems weakened by some cancers, AIDS, chemotherapy or radiation treatments, or drugs taken to prevent organ rejection. About 20 per cent of patients with herpes zoster develop post-herpetic neuralgia (chronic pain).